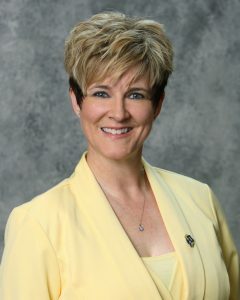 Jill Thorngren, Ph.D., LCPC, LMFT is Dean of Education and Human Sciences at South Dakota State University. She received her Ph.D. in Counseling and Counselor Education from Idaho State University. Dr. Thorngren is a Licensed Professional Counselor and Family Therapist. Prior to serving as Dean of Education and Human Sciences, Dr. Thorngren was Assistant Professor, Associate Professor, and Associate Dean at Montana State University. She lives in Brookings, SD with her husband, Greg.